VideoLAN’s VLC Media Player is the media player for the desktop. It plays virtually any file format you throw at it and does so with splendid ease. That very same kind of ease came to iOS first in the form Applidium’s VLC Media Player for iPad and the app has now (finally) landed on iPod touch and iPhone. Released just moments ago, VLC Media Player for iOS is now a universal application that plays a variety of video files… and then some. Yes, DivX and XviD files are supported! Once you’ve downloaded and installed VLC, You can transfer the desired video files to VLC by connecting your iOS device, clicking on its icon in iTunes. 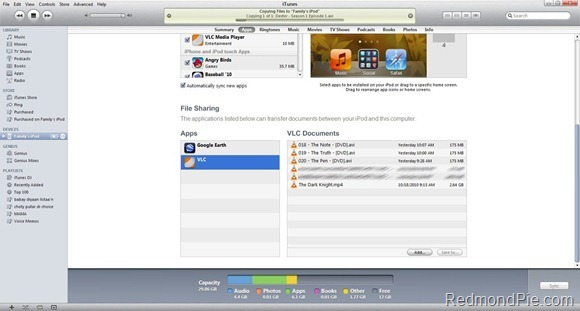 Go to Apps, scroll down to “File Sharing”, click on VLC and then add whatever files you want to be transferred. 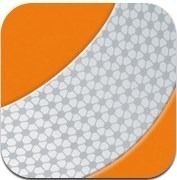 VLC Media Player for iPod touch, iPhone and iPad is free and available for download now from the link below.